827 listings in the city of Coeur D'alene with an average list price of $591,915 and a median list price of $350,000. 633 listings in the city of Post Falls with an average list price of $445,153 and a median list price of $307,654. 376 listings in the city of Hayden with an average list price of $481,396 and a median list price of $345,000. 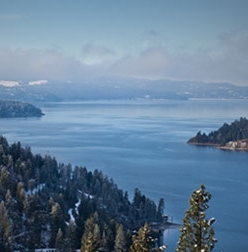 View listings in Sandpoint, Athol, Bayview and other cities. View listings in Liberty Lk, Loon Lk, Newman Lk and other cities.